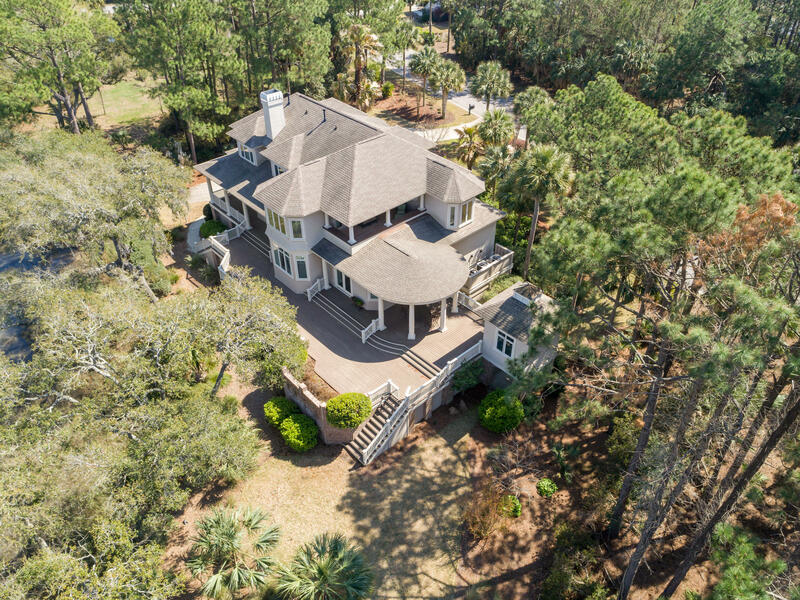 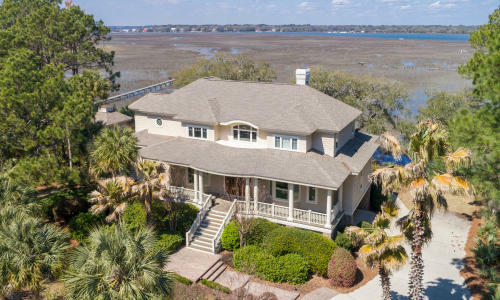 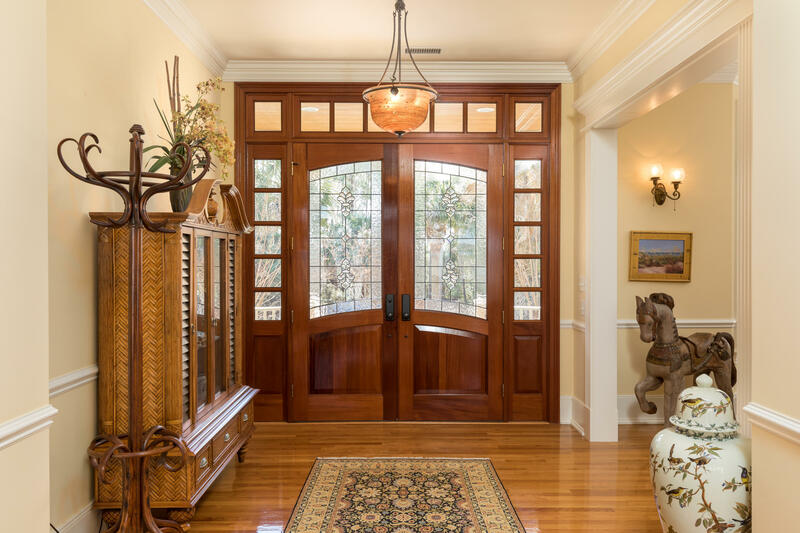 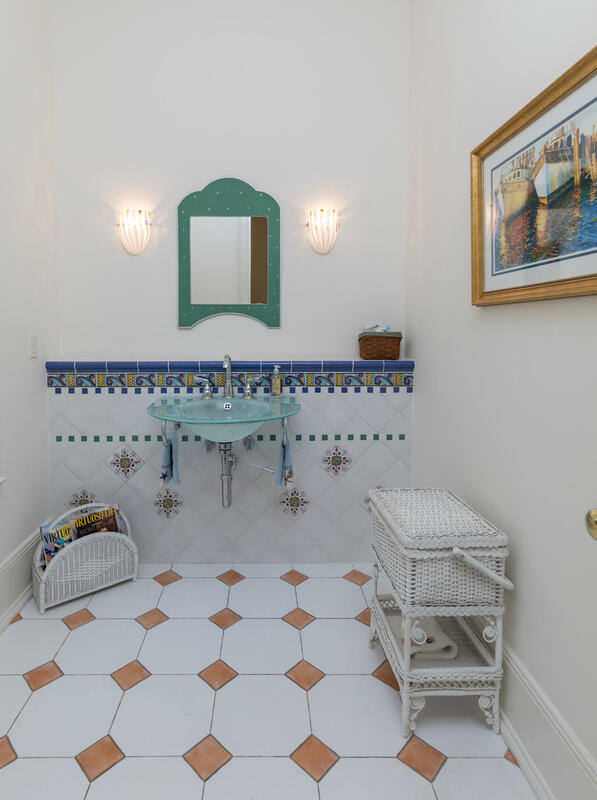 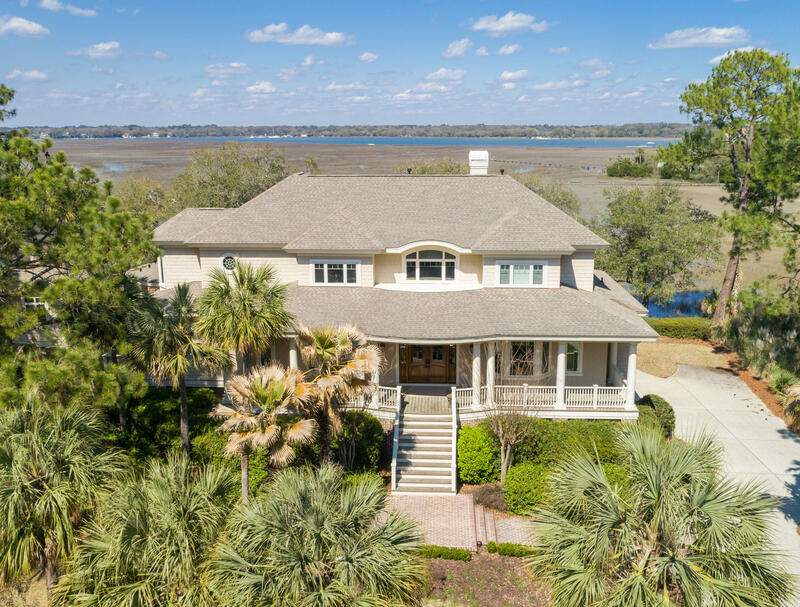 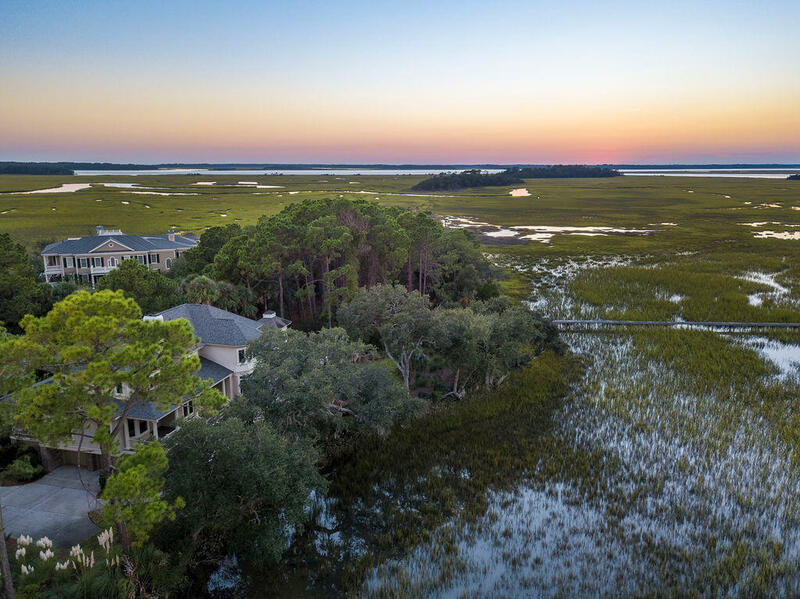 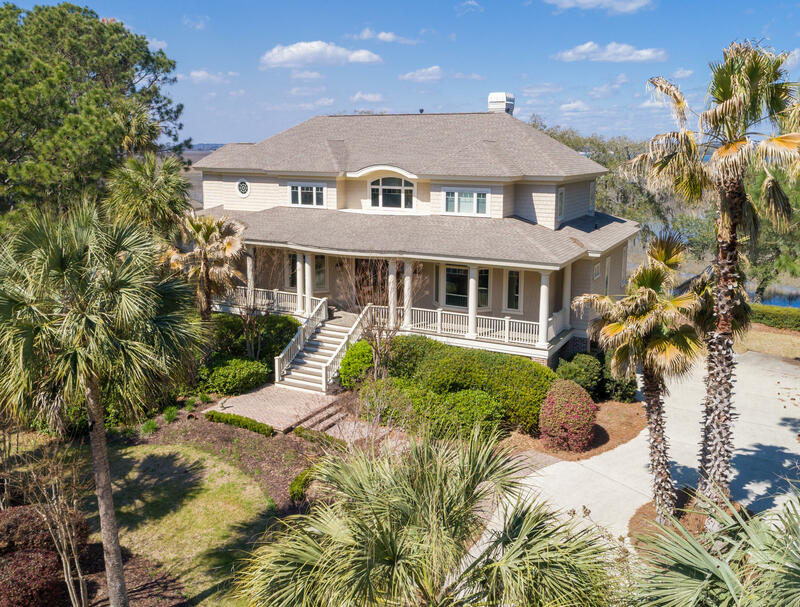 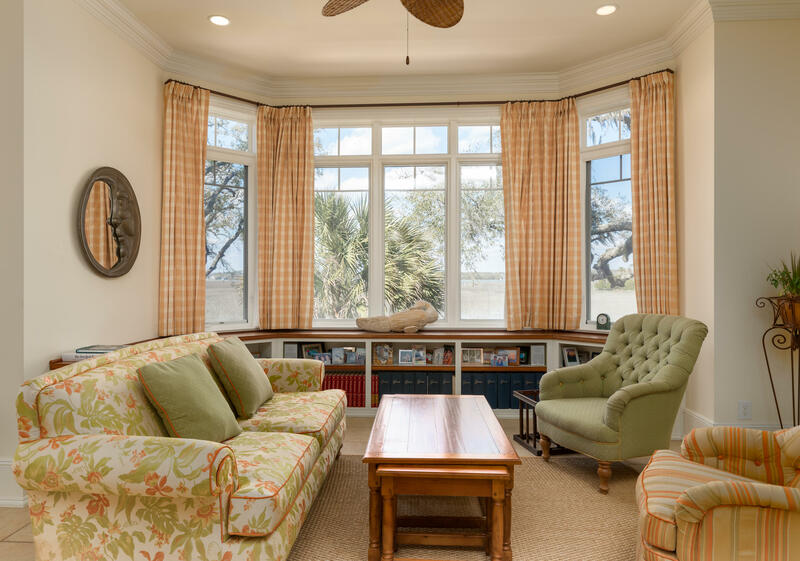 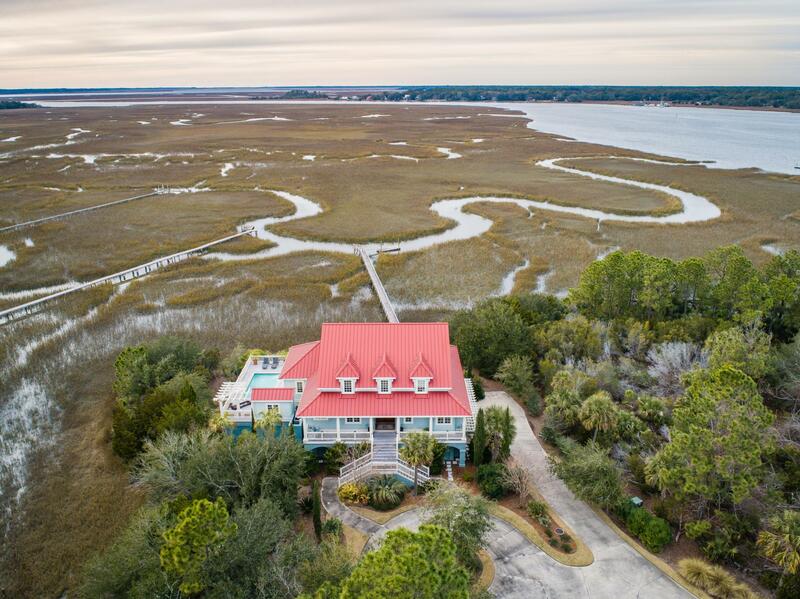 Exquisite views and sophisticated luxury define this secluded property in Jenkins Point Plantation on Seabrook Island. 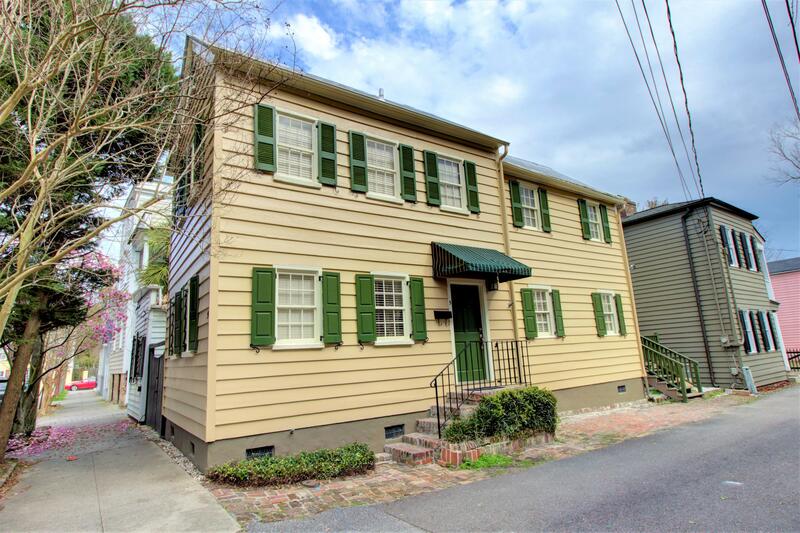 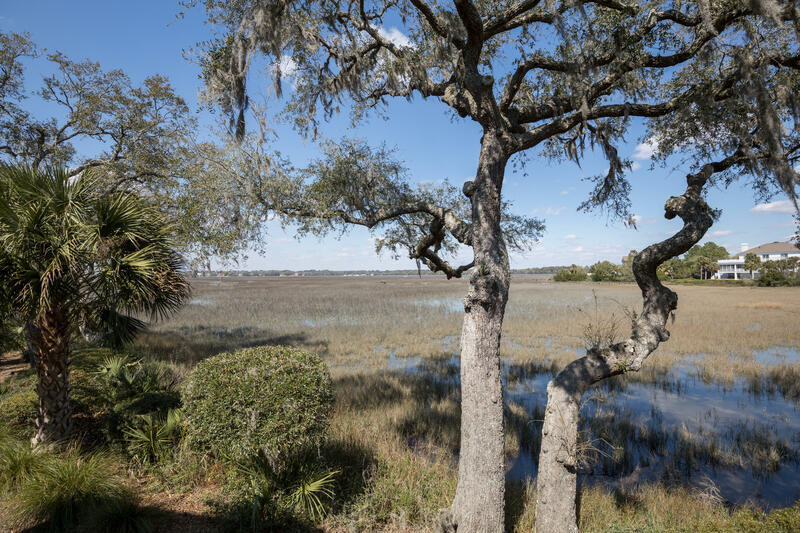 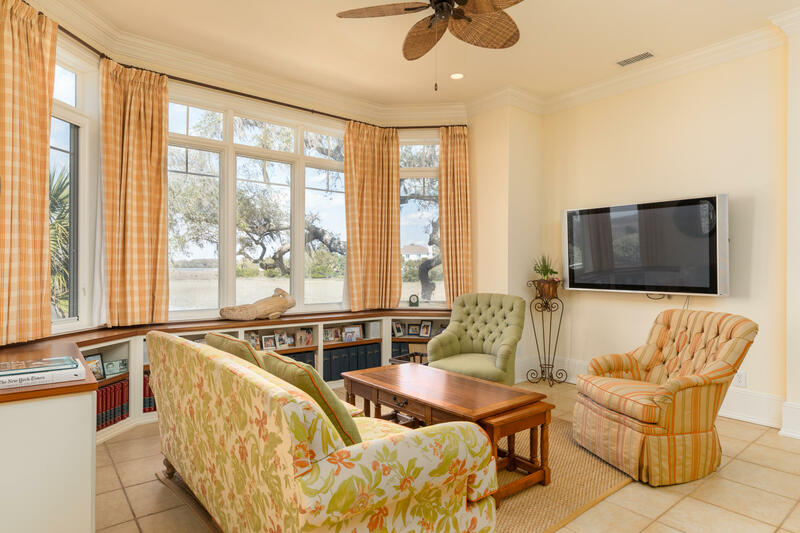 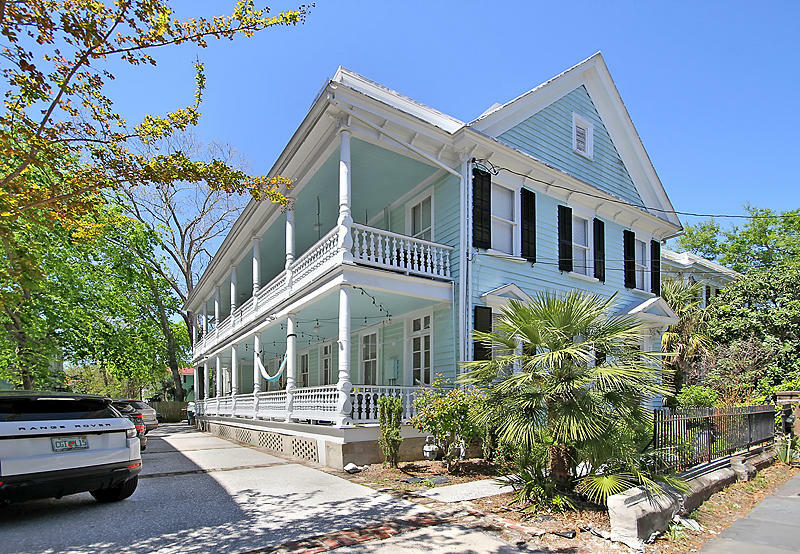 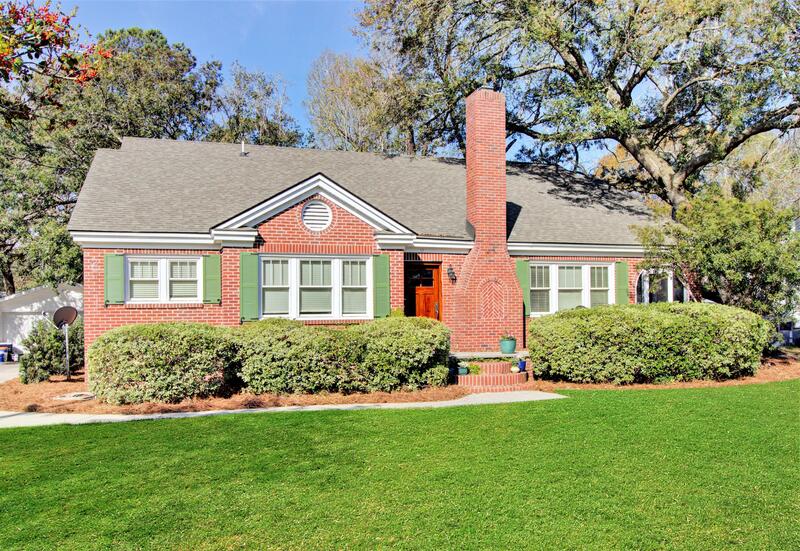 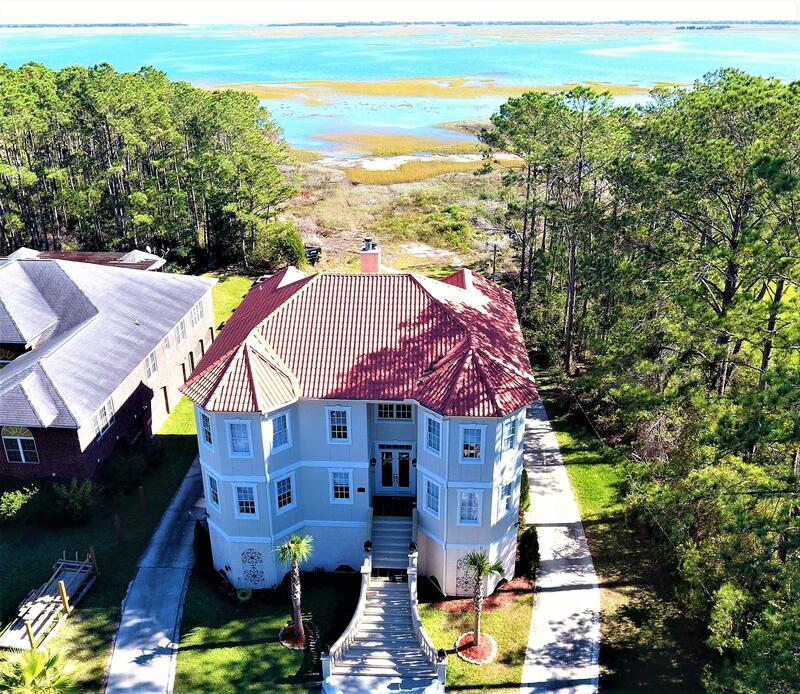 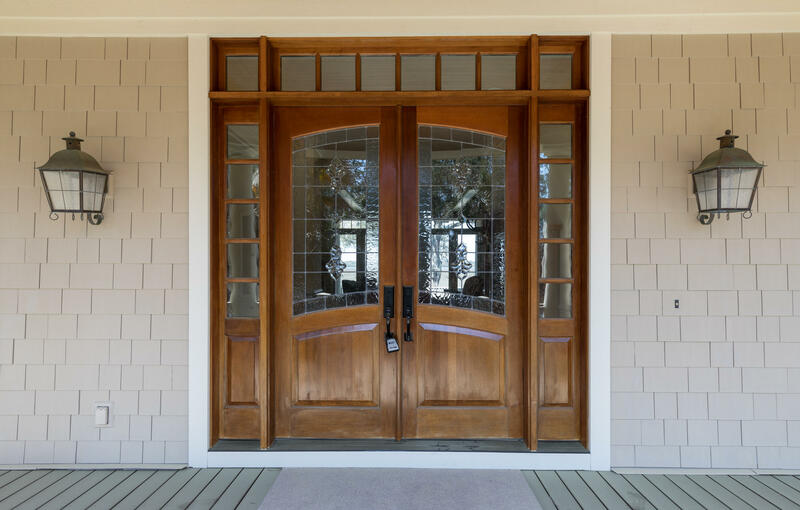 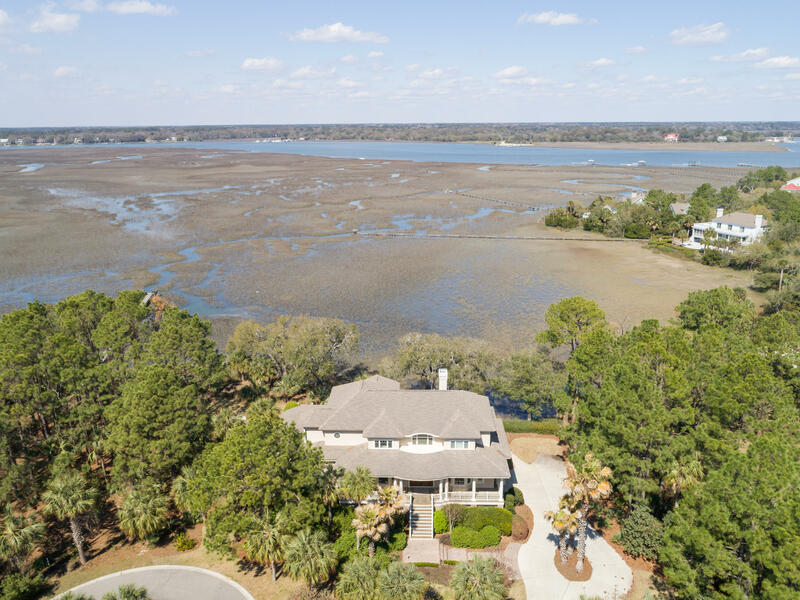 1405 Nancy Island Drive boasts panoramic views of the tidal marsh and Bohicket River. 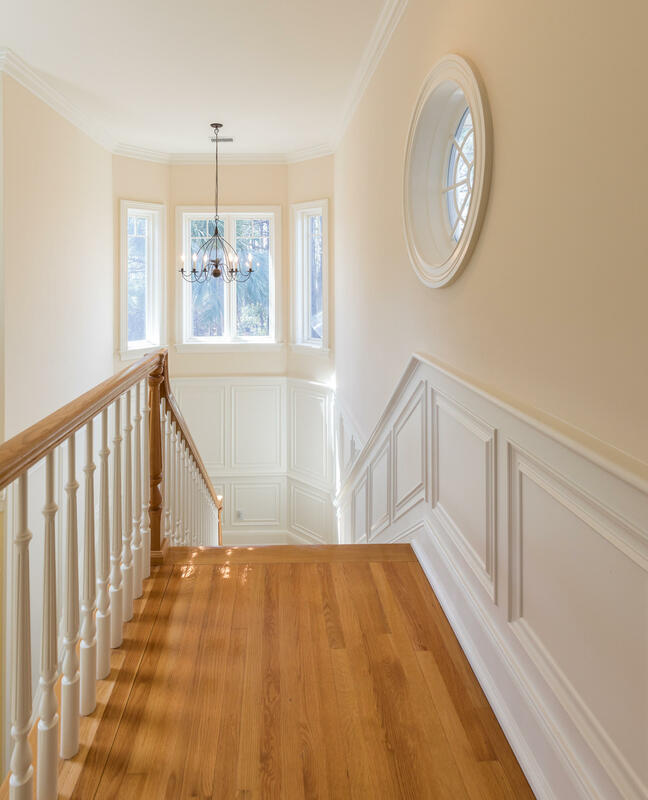 The custom-built four-bedroom home showcases high-end finishes and thoughtful details inside and out. 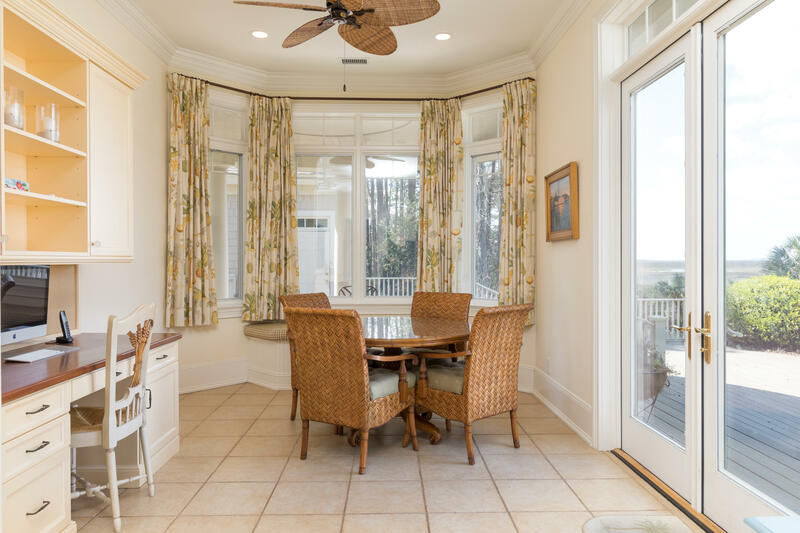 With over 4,000 square feet of interior living space and ample decking, there is plenty of room to relax and entertain. 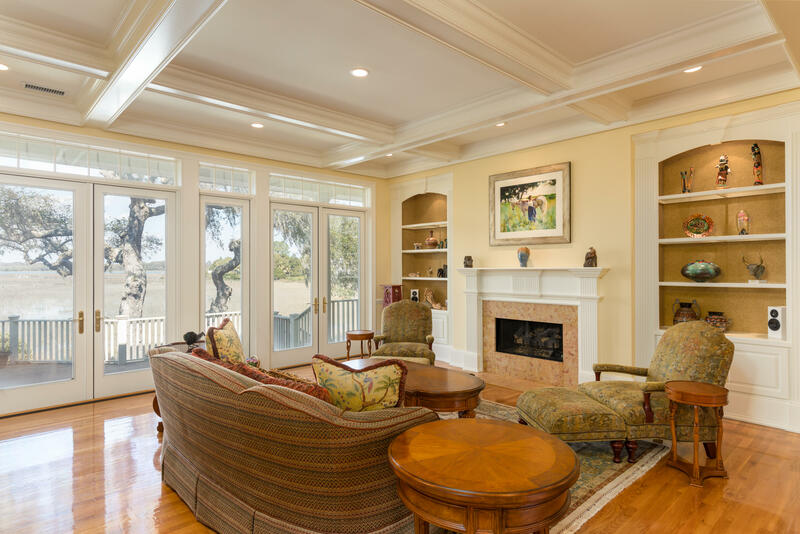 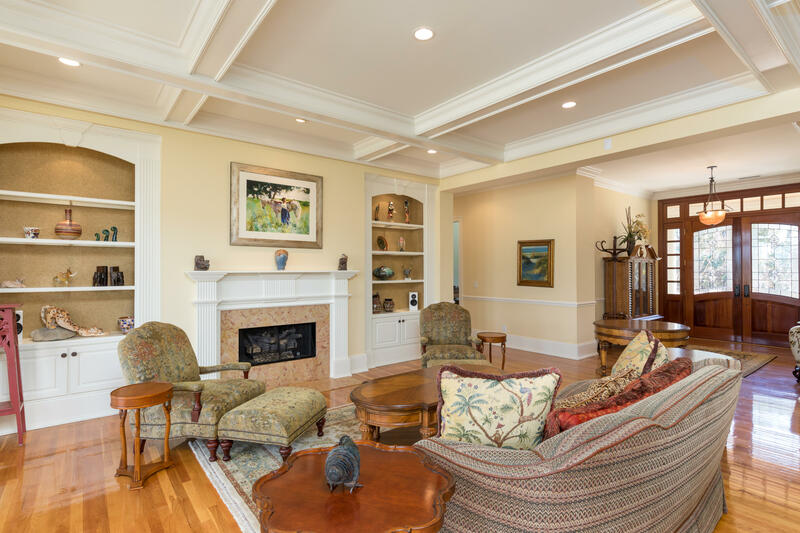 The great room offers coffered ceilings, abundant natural light from floor-to-ceiling windows, white oak hardwood floors, and direct access to the lengthy back deck. 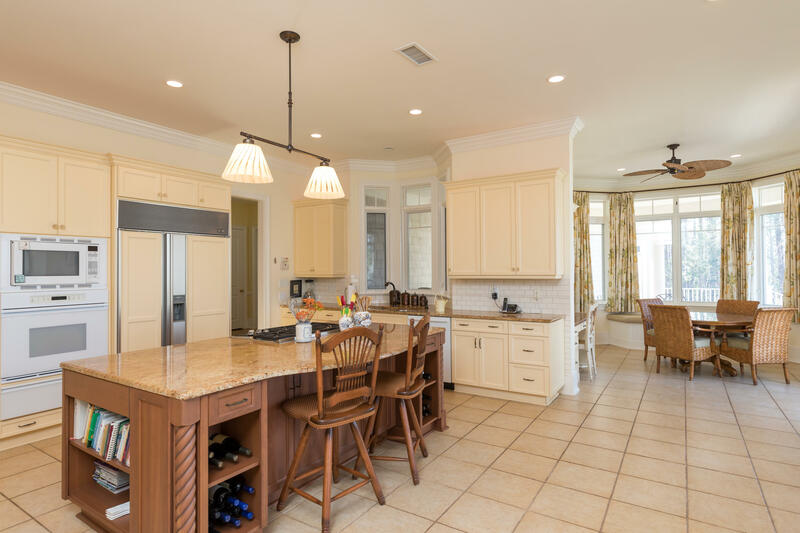 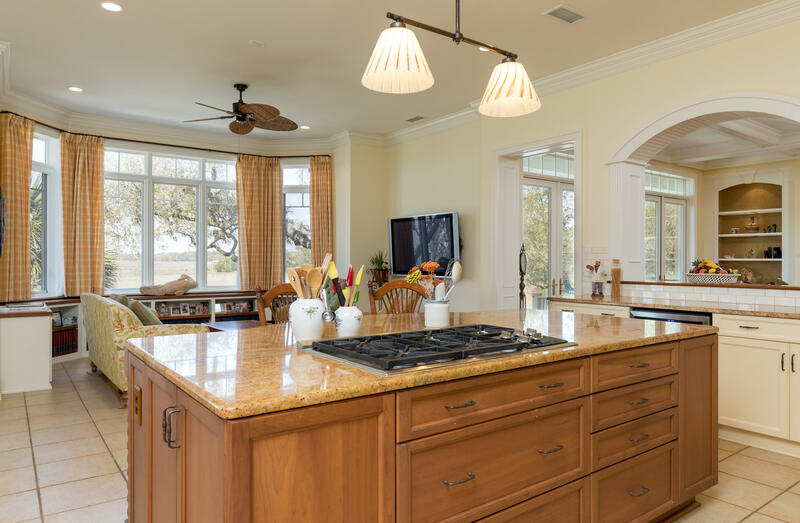 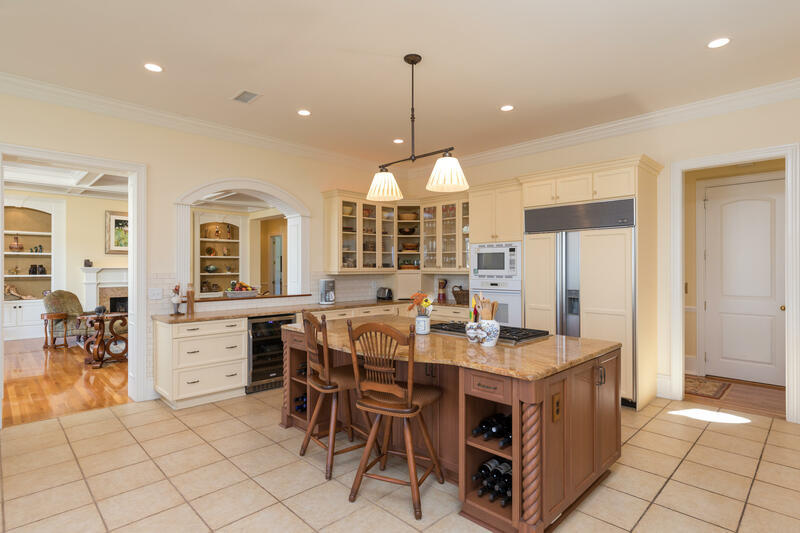 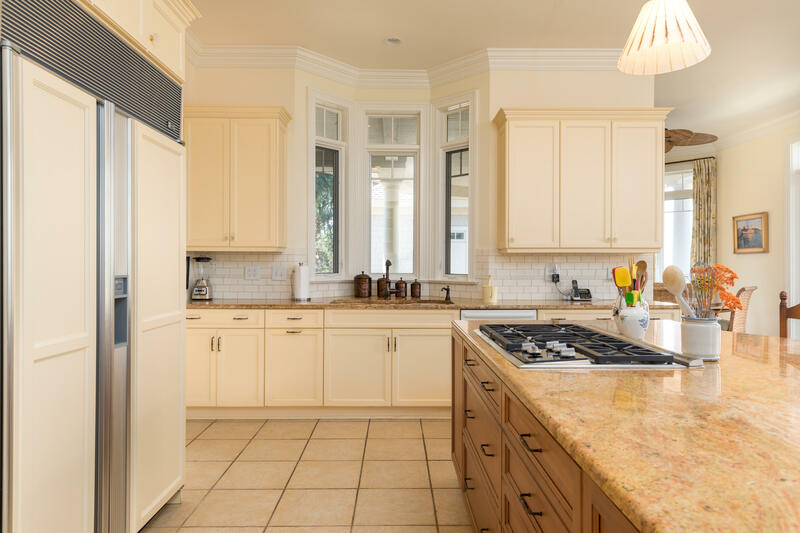 A substantial island with bar stool seating, custom cabinetry, granite countertops, state-of-the-art appliances, sitting area, and breakfast nook are the highlights of the gourmet kitchen. 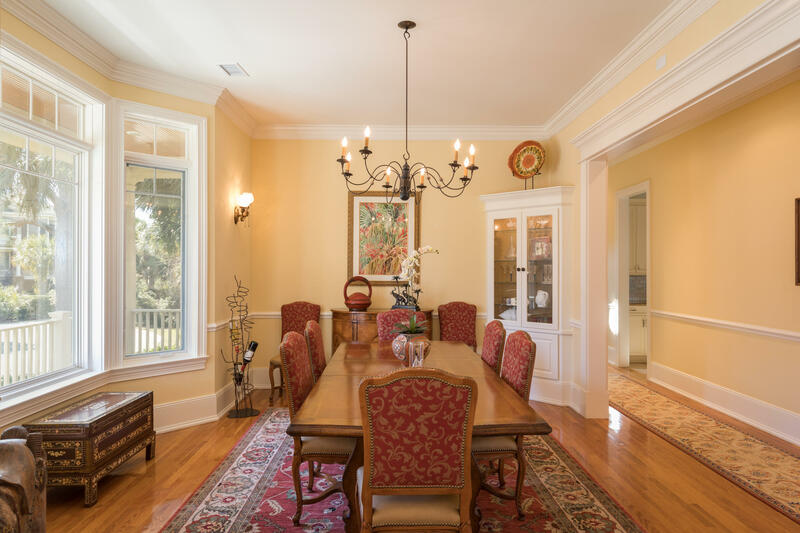 The formal dining is within easy access to accommodate large dinner parties. 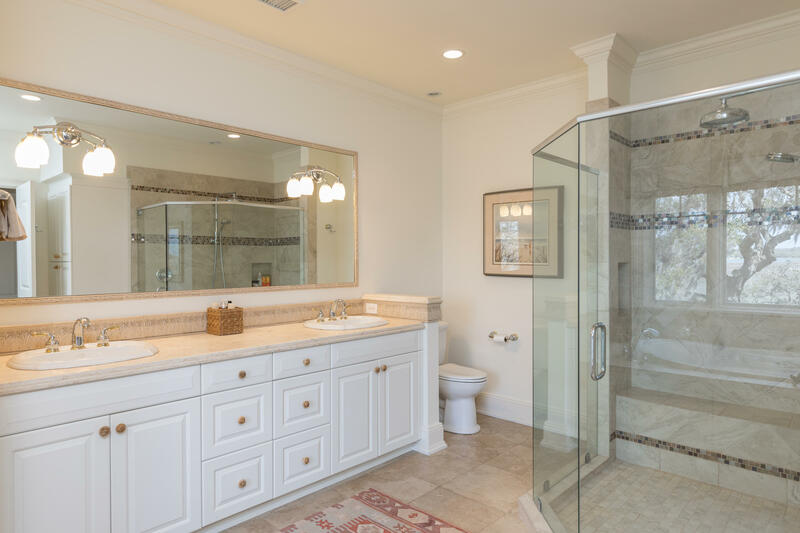 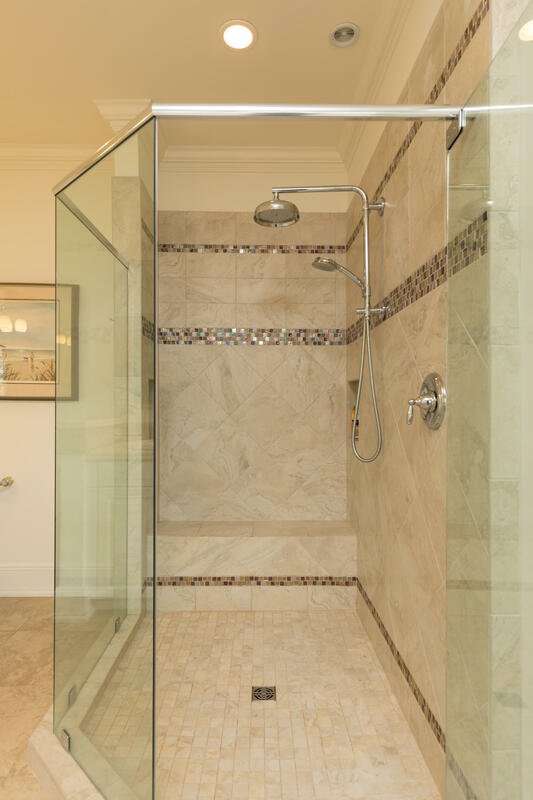 Two main floor bedrooms each have their own private baths. 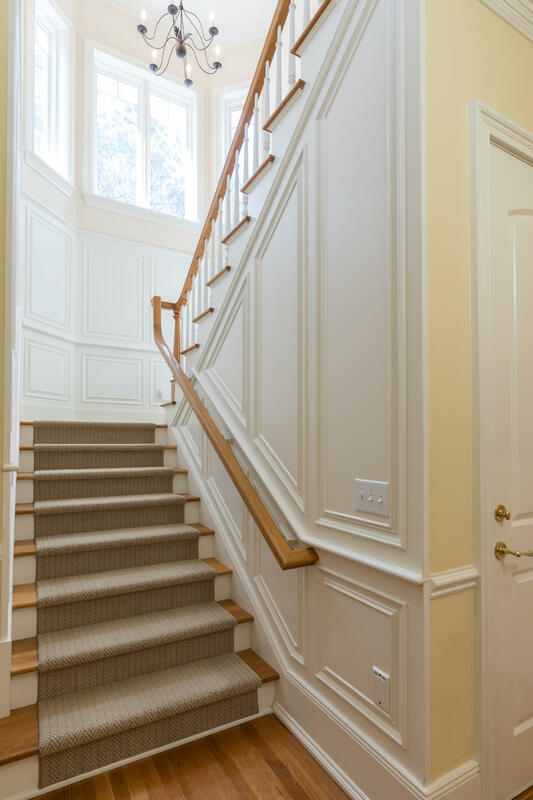 Ascend the staircase, accentuated with wainscoting and well-positioned windows, to reach the second floor. 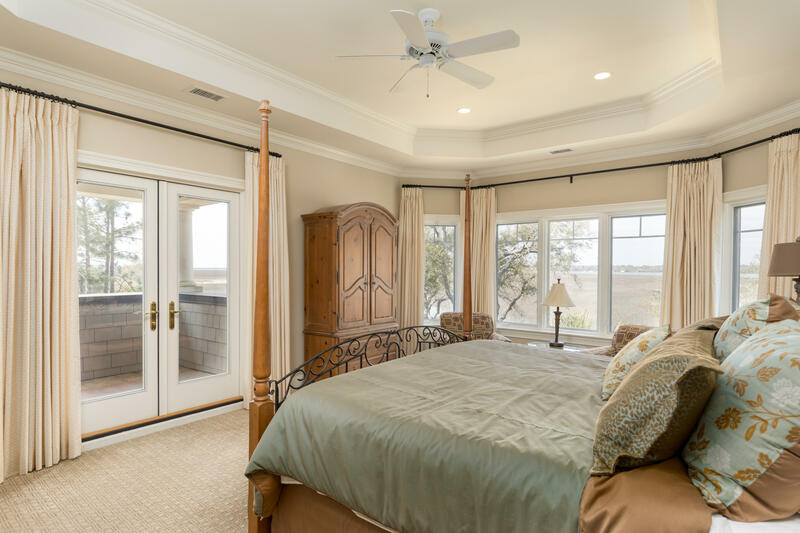 The spacious master retreat encourages you to enjoy picturesque sunsets from its private balcony. 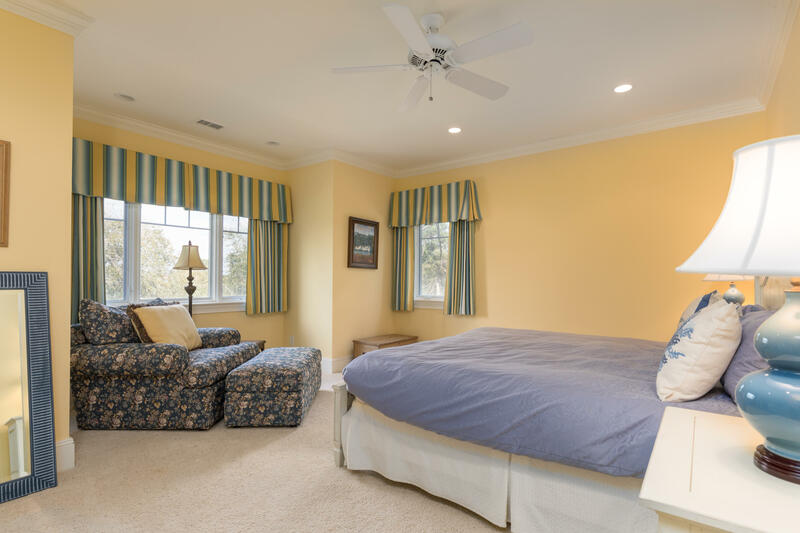 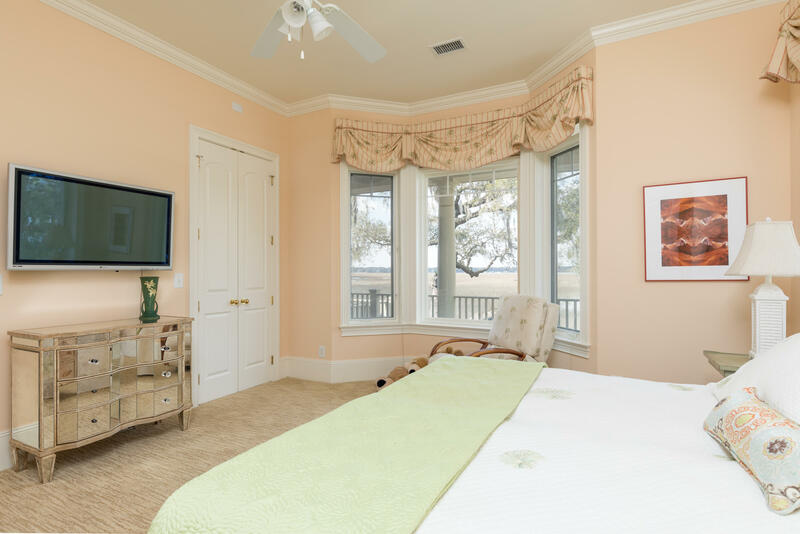 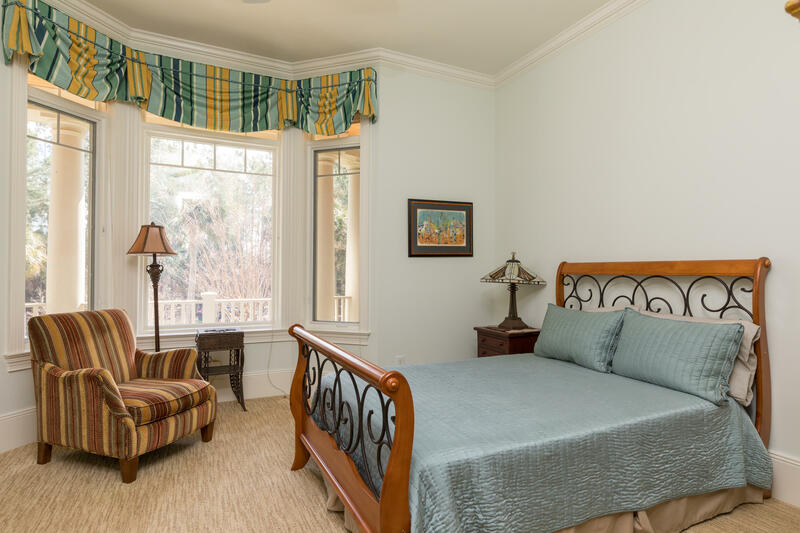 Another large bedroom with private bath serves as a guest bedroom or second master suite. 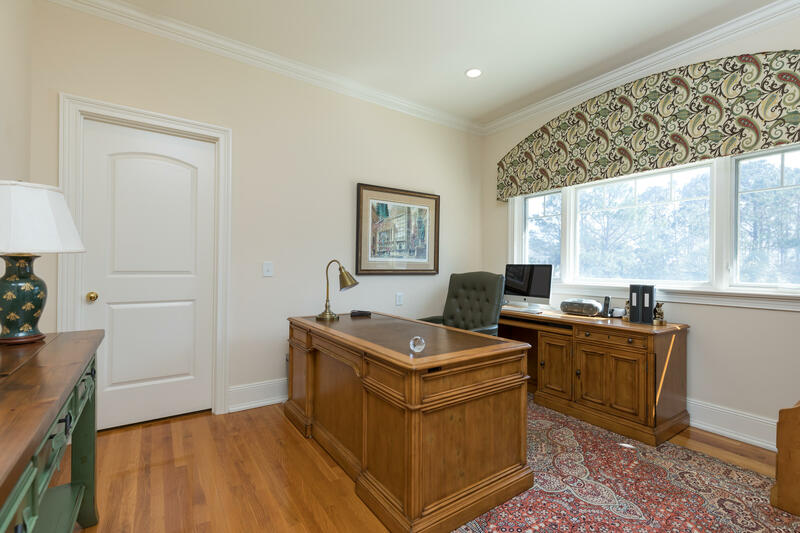 Two flex areas currently function as a second living room with built-in cabinetry and home office with a large storage closet. 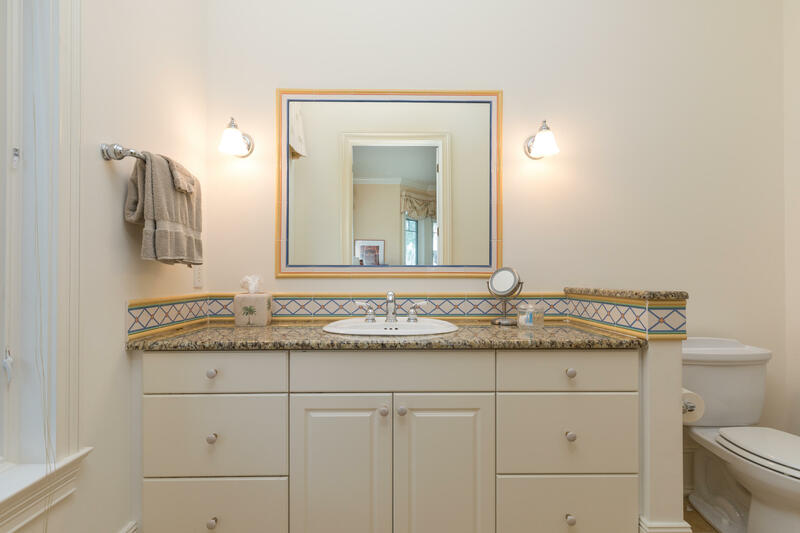 The sizeable laundry room is conveniently located on the second floor. 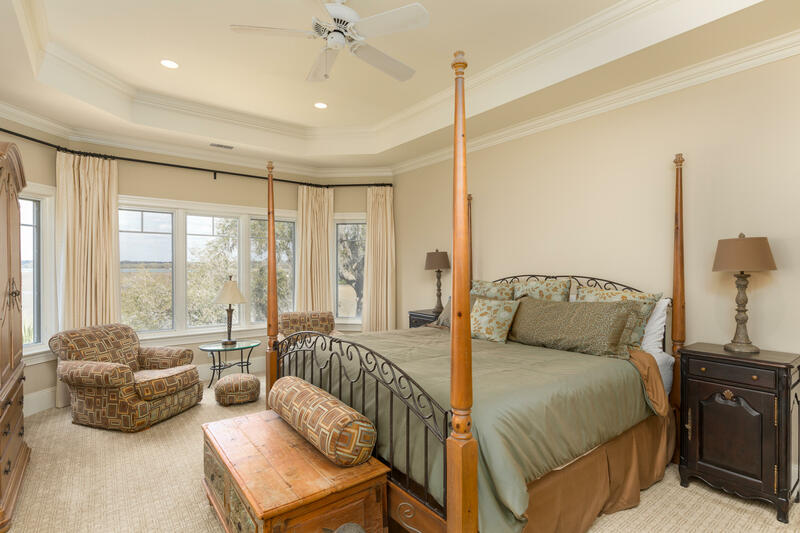 Below the home, you'll find a generous garage with plentiful storage and workshop space. 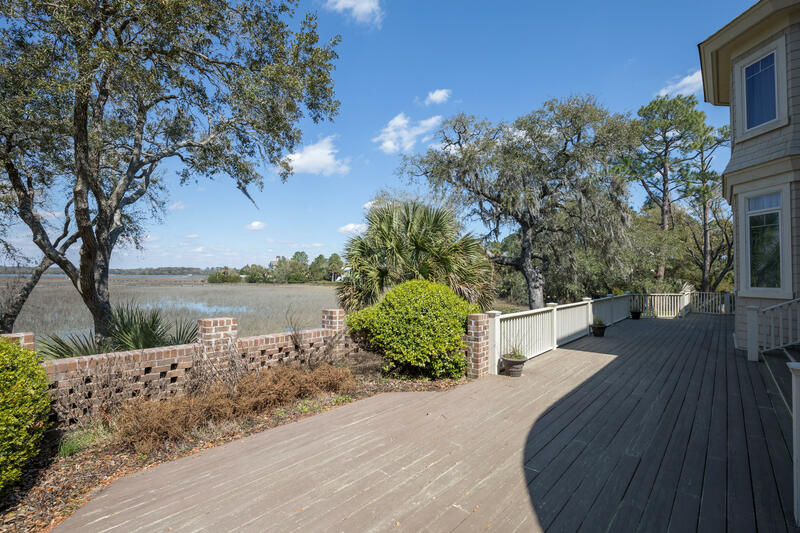 The home is flanked by front and rear decks, perfect for relaxing and absorbing the scenery. 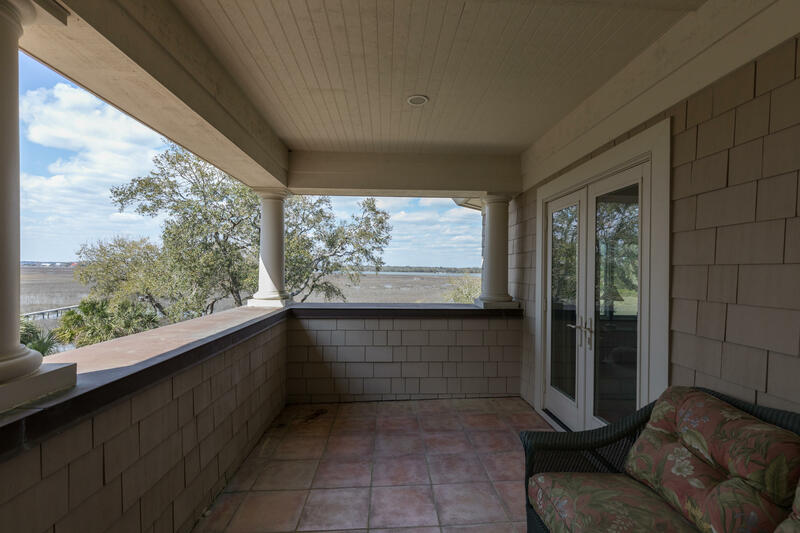 Extending the length of the home, the rear deck flaunts covered and uncovered space from which to appreciate the views. 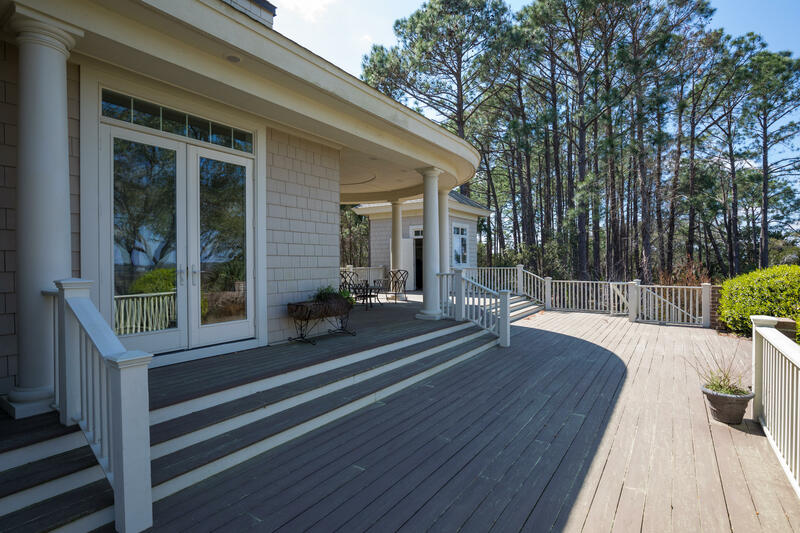 Completing the deck is a detached room that may be used as a cabana, potting shed, or storage area. 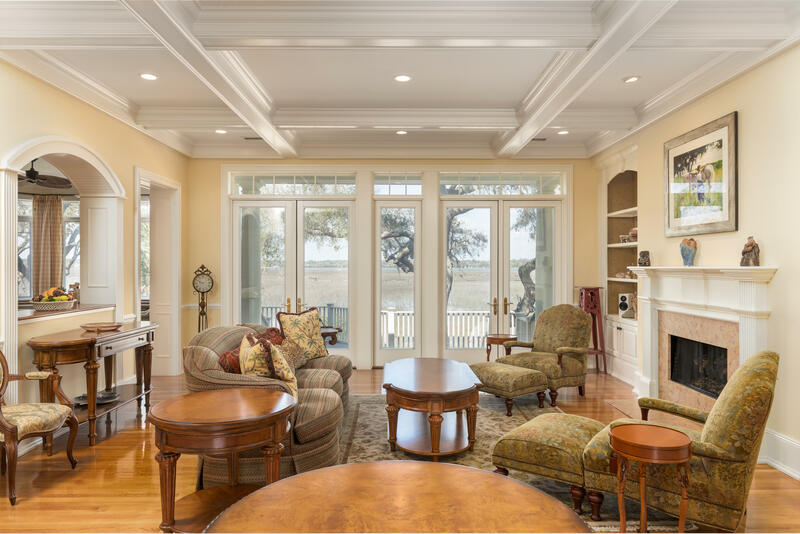 For even the most discerning buyer, 1405 Nancy Island presents the ideal combination of coastal living and natural beauty. 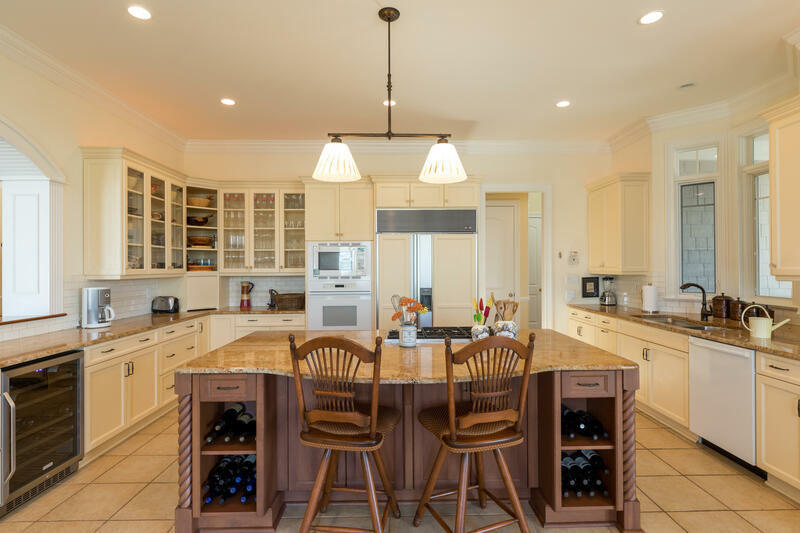 Offered furnished with some exclusions.